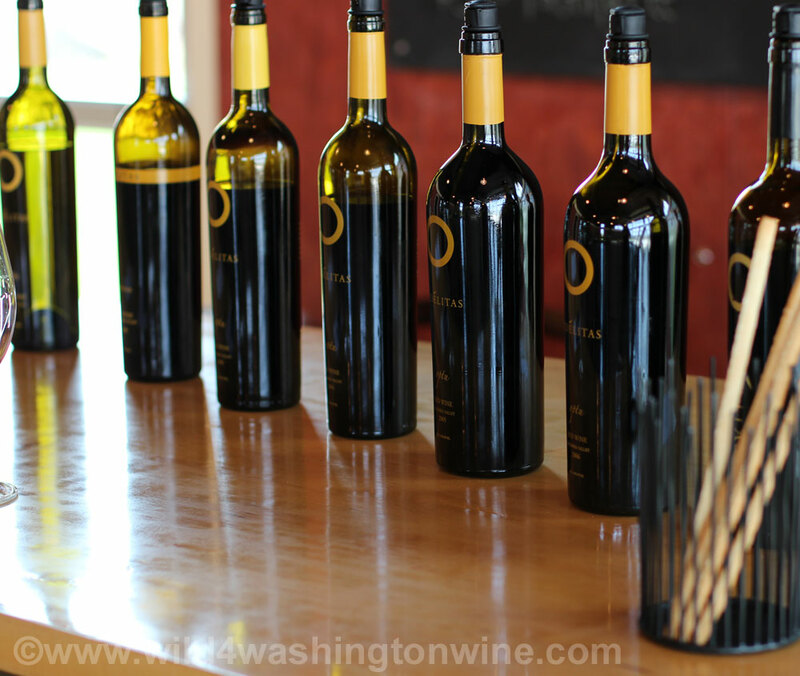 Charlie Hoppes is celebrating 25 years of Washington winemaking. 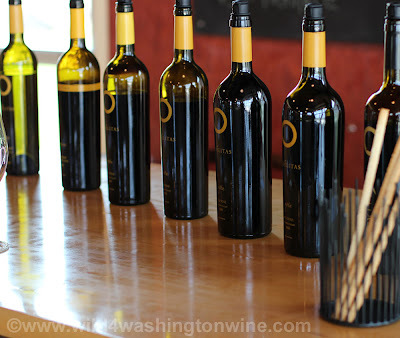 Photo: Optu vertical tasting. The 2000 and 2007 were my favorites. I have to say thank you to Charlie Hoppes and his friendly staff, for sharing these wonderful Optu wines from the Fidelitas wine library. This was a truly special treat. Optu Red Wines are the signature red blend of Fidelitas. The wines I tasted are no longer available. A couple of the newer vintages may be available in Magnum format - contact the winery for details. Photo: Fidelitas tasting room on Red Mountain. It pays to "Like" Washington wineries on Facebook. 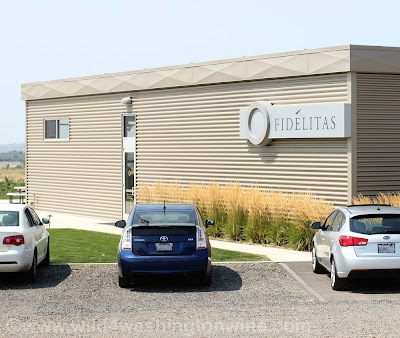 Today I visited Red Mountain for a vertical tasting of Fidelitas Optu red wines. The only way I knew about this special, one time tasting, was because I "Liked" Fidelitas on their Facebook page. I suggest you stop by the Fidelitas website and Fidelitas facebook page to discover the wonderful upcoming events Fidelitas is hosting in honor of Charlie's 25 Years of winemaking. 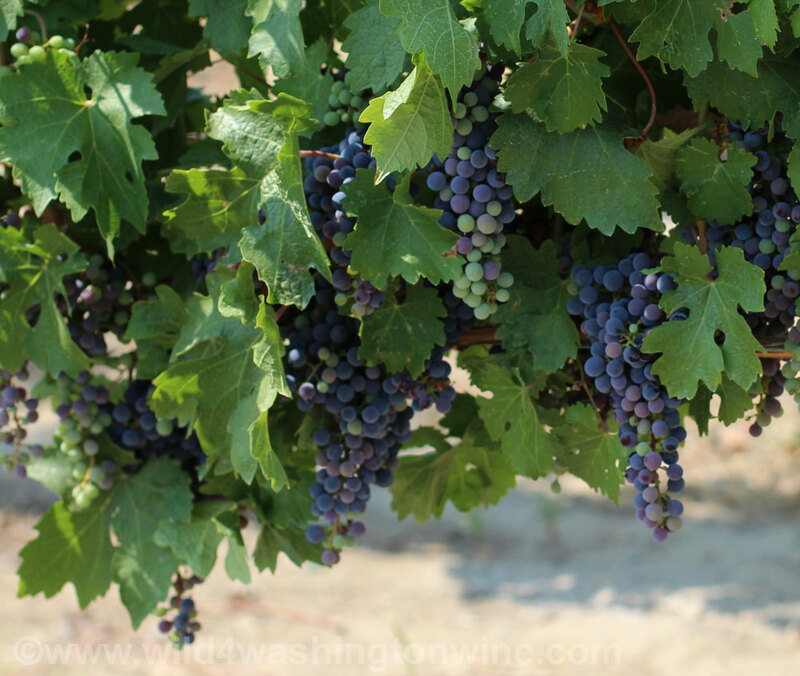 Photo: Red Mountain Merlot loveliness. Some of my lucky friends are going to enjoy the benefits of my Red Mountain visit today. Photo: Estate Cabernet Sauvignon at veraison. 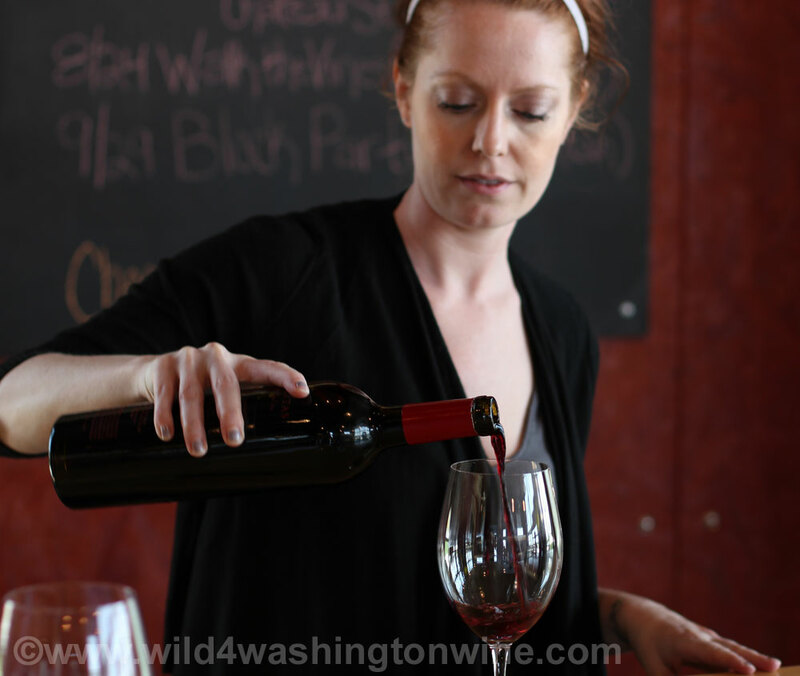 When you stop by the winery, tell them Wild 4 Washington Wine sent you. Fidelitas on Red Mountain is open 11am to 5pm. There is a $5 tasting fee per person that can be waived with purchase. It would have been nice to know the years you tasted and what you thought of each year according to its age. The 2000 and 2007 were my favorites, sorry I only entioned that in the photo. Mr. Hoppes is making wonderful wines.